We are getting excited for the Time Trials event! Mark your calendars for some mountain biking fun later this month! Click the Decorah Time Trials 2019 tab for registration forms and additional info! 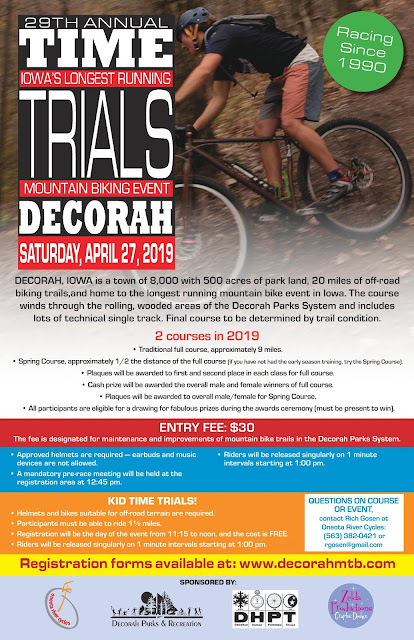 Decorah Human Powered Trails builds and maintains over 26 miles of off road single track trails for mountain bikers, trail runners, and hikers in the Decorah Park system as a division of the Decorah Park and Rec Department.